Javier Bardem, in one of his obligatory media appearances to promote his newest film, was heard praising “Biutiful” in a very atypical manner. The thespian gave words, that some audiences may have interpreted as a shorthanded compliment, to the theatrical release. The actor told American audiences that director Alejandro González Iñárritu’s opus was to be, in so many words, experienced and not necessarily enjoyed. This assessment is accurate. “Biutiful” is a film that is not distilled by light, but instead smudged by dirty fingers, soiled by knocked over cereal bowls, and inundated by ingrown hairs. “Biutiful”, Iñárritu whispers, is accepting death and all of the events that putter along haplessly, yet romantically, before your eyelids eclipse your pupils for that one last time. The film’s themes are reminiscent of Ingmar Bergman’s “Wild Strawberries”; there is a sense that the shadow of death’s scythe is providing shade, that our protagonist can use while thinking back upon his life, as he recollects images of his past. This is all interesting, sure, but the film is so smothered in the batter of Iñárritu’s recipe that we, the audience, can barely breath. The film centers around Uxbal (Bardem), a character who is struggling, as all good fictional characters do, with their moral compass. Our character, while attempting to get his compass to work, bangs his fists upon it until it breaks. Not exactly the ideal method to finding your way out of your shadowy, contempt filled life. Uxbal continues to make bad decisions, with his family and his dubious profession, until a cat’s cradle of memories and dreams entangle him until he is unable to move. That’s pretty much the story. One man, many misdeeds. I suppose “Biutiful” is supposed to evoke emotion about our time left on earth, but instead it evokes emotion about our time left in the movie theater. The film’s pacing is without care for its audience. The sequences of reflection are redundant and without that marred, but equally artistic, touch that we usually see out of Iñárritu’s quill. “Biutiful” feels like you’ve been kicked in the ribcage by a bucking horse: you understand that what caused your misery is a creature of good intention, but you are still in pain, unable to move or get away from what caused your agony. The film, of course, has been propped up in many “Best Of” lists simply because of whom was involved in the making of this movie. I doubt if the gears were oiled by a less identifiable craftsman that it would be the machine most think it is today. “Biutiful” is hard to detest, for all of its indulgent shortcomings, because, as you watch the film, you know it was created, initially, as something that meant a lot to Iñárritu – no one can question the integrity of its source material. The translation of the idea, however, stands as language without a Rosetta Stone. Iñárritu is a fantastic director – one of the best in cinema today – but this picture is a misfire from a marksman. There are scenes here that work, but to find them is like walking through a minefield of scenes that, however well intentioned they may be, do not work. 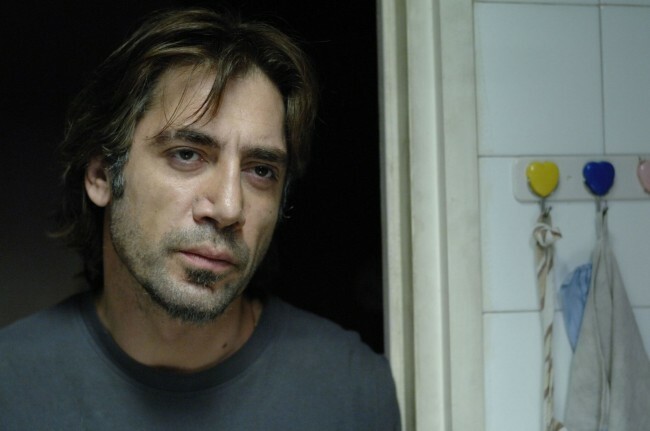 Bardem, also a terrific talent, is great at playing characters in anguish. There is no loss of skill here, but only the absence of a screenplay. “Biutiful” is intriguing, but only that. What we have is a film that is stuck in cinema pergatory: it will likely wander around forever, in search of itself, without a place to go.